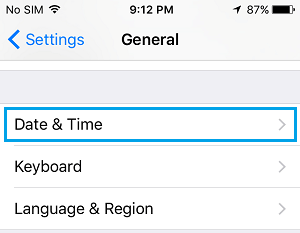 In order to use iMessage, you need to activate iMessage on your iPhone or iPad. 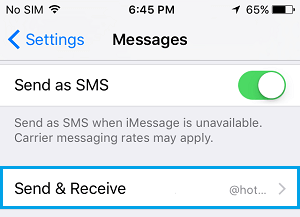 However, sometimes it becomes difficult to activate iMessage, in case the iPhone runs into iMessage Waiting for Activation Error. Lets us take a look at how to fix this problem. While the Error Message that we came across on our phone read “An error Occurred during Activation” you may come across other iMessage Activation Error Messages on your iPhone. Whatever may be the error message on your device, it is clear that something needs to be done to make the error message go away. The problem of iMessage waiting for activation error on iPhone or iPad could be due to a variety of reasons, ranging from network connectivity issues to incorrect iMessage settings and other software glitches on your iPhone. Hence, the problem of iMessage Waiting for activation Error on your iPhone or iPad can be fixed by any of the following methods. Starting with the basics, make sure that your iPhone is actually connected to WiFi or Cellular network. 1. Tap on Settings > WiFi and make sure that WiFi is enabled. 2. Tap on Settings > Cellular and make sure that Cellular option is enabled. Note: iMessage can work without Cellular Data being enabled. Hence, the above check for Cellular network is not applicable in case you rely on WiFi for sending iMessages. 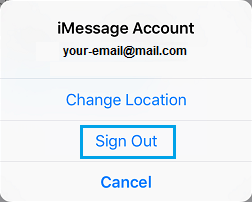 The simple act of restarting iMessage service on iPhone can clear out temporary bugs (if any) and restore proper functionality to iMessage service on your device. 1. Tap on Settings > Messages and turn OFF iMessage. 2. Tap on Settings > FaceTime and turn OFF FaceTime. 3. Now, turn OFF your iPhone by pressing on the power button. Wait for 30 seconds and turn ON your iPhone by pressing on the Power. 4. 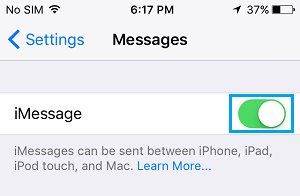 After your iPhone restarts, go to Settings > Messages and turn ON iMessage. 5. Go to Settings > FaceTime and turn ON FaceTime. 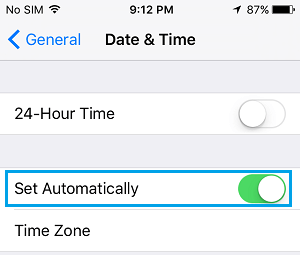 Make sure that Date and Time settings on your iPhone are set to Auto. 2. On the Date & Time Screen, make sure that Set Automatically is enabled. 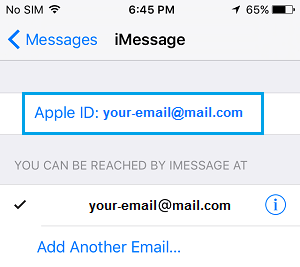 Sometimes the problem of iMessage Waiting for activation error on iPhone is related to your Apple ID being not recognized by iMessage service. In most cases, this problem gets fixed by signing out of Apple ID and then signing back in to your Apple ID. 2. On the Messages screen, scroll down to Send & Receive and tap on it. 6. Now, turn OFF your iPhone, Wait for 60 seconds and then Restart your iPhone. 8. Tap on Settings > Messages > Toggle ON iMessage. 8. 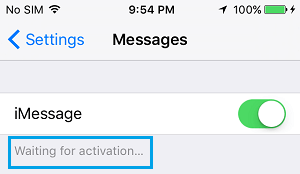 Enter your Apple ID when prompted and see if the iMessage Waiting for Activation message is gone. 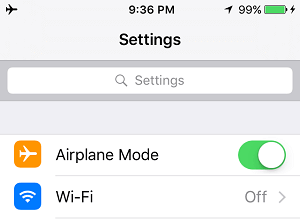 Turning ON Airplane Mode basically cuts off internet connectivity on your iPhone and turning it OFF connects you back to the network. 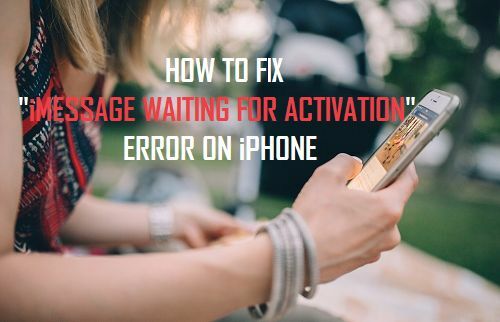 For some reason, this simple act has helped users in fixing iMessage Waiting for activation Error on their iPhones. 3. Tap on Settings > Airplane Mode and set it to OFF position. 4. 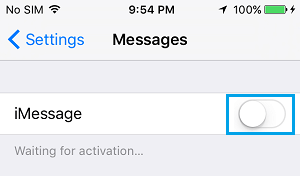 Wait for a minute, tap on Settings > iMessage and see if “Waiting for Activation…” message is gone. According to Apple it can take up to 24 hours in order to activate iMessage and FaceTime. If the issue continues after 24 hours, Apple recommends the following steps. Make sure the latest version of iOS is installed on your iPhone by going to Settings > General > Software Update. Contact your carrier to make sure that you can receive SMS messages.